Arches National Park is one of five National Parks located in Utah and was named Arches because it offers a staggering number and variety of natural arches in a geographically small area. Arches is visited by over 1.5 million visitors each year and is open year round. I recommend getting to the park as early in the day to beat the crowds and you can save yourself some more time by buying your park pass the day before at the Visitors Center in Moab, Utah. I love visiting Arches in the wintertime because there are fewer crowds and I prefer colder temperatures when desert hiking as there is little shade in the entire park. The negative aspect of visiting in the wintertime is that you will likely want to rent a room in Moab instead of camping, there can be ice on the trails, and you have less daylight hours to enjoy the park. Summertime at Arches brings flowers on the desert plants, the ability to do the Fiery Furnace tour, and easier camping opportunities. In the summer, visitors must be prepared for high desert temperatures with extra water and being cautious of heat stroke. 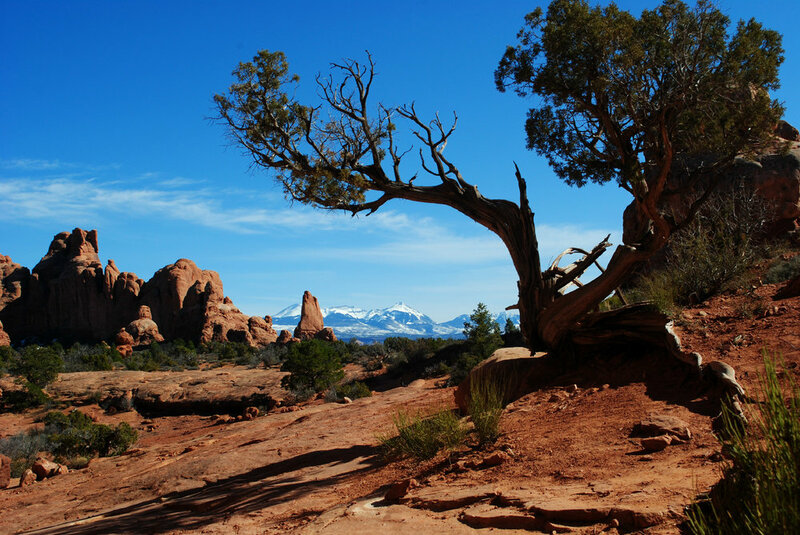 Arches National Park is perfect for a girls trip and has a variety of hikes that vary in difficulty and accessibility. Below is a list of what I consider the must see highlights for each traveler when visiting Arches. Delicate Arch is the most well known arch in the park and is often seen in landscape photography and in symbols of the state of Utah. If you can only do one hike in the park, this is the one to pick! I recommend doing this hike early in the day as parking can be difficult. This trail is 3 miles out and back and rated as difficult due to steep sections. There is no shade on the hike so plenty of water is required. Parts of this trail are ill defined but typically the path is very clear due to the number of hikers. This hike can have patches of ice in the winter. The view of Delicate Arch at the end of the hike with the La Sal Mountains in the backdrop is unbeatable. You can also find rock art near the beginning of the trail. Double Arch is a quick .5 mile out and back hike that is rated as easy but should not be skipped! This is my favorite arch structure in Arches National Park because you can explore the bottom of the arch and it is a fun place to have a picnic lunch in the shade the rock formations. The Windows Hike is a 1 mile easy hike that allows you to see three arches labeled the North Window, the South Window, and Turret Arch. While exploring these arches, try to line up opening in Turret Arch with the opening in either of the Windows Arches for a fun picture. Landscape Arch is the longest arch in the park and is viewed through a 1.6 out and back easy trail located at the Devils Garden trailhead. The Devils Garden trailhead is another excellent place for a picnic lunch though parking can be difficult. If you have extra time while at Arches National Park, there are several branches of this hike that bring you to other arches that can be done quickly or you can greatly increase the length of your hike by visiting the Double O Arch. The hike to Double O Arch is rated as difficult and you must carry water to complete this 4.5 mile hike. The Park Avenue Hike is one of the lesser known hikes in Arches National Park but is the prettiest hike in the park. It is 2 miles long and rated as moderate difficulty. If you have two cars, you can park one at the end of the hike, Courthouse Towers, to save yourself from hiking back up the first steep hill or you can make this an out and back hike and return to your starting point. The views of the rock formations on this hike are spectacular and provide a different perspective than you will see from the road. If you can only visit Arches National Park for one day, I would try to visit as many of these highlights as possible. I highly recommend driving the whole length of the park from the Visitors Center to Devil’s Garden for the unique scenic views. Each park pass is good for seven days and can allow you to visit all that Arches National Park has to offer if you have the time. Arches National Park is easy accessible from many states and can be combined with visits to other parks such as Canyonlands National Parks. Pack your bags for your next girls road trip with a destination of Arches National Park! Kelsey is the Ambassador for our Massachusetts chapter. You can join her local meetups and discussions through the Massachusetts chapter by clicking here. 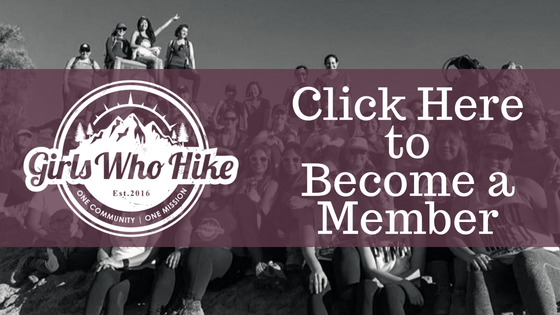 To become a member of Girls Who Hike, click here.